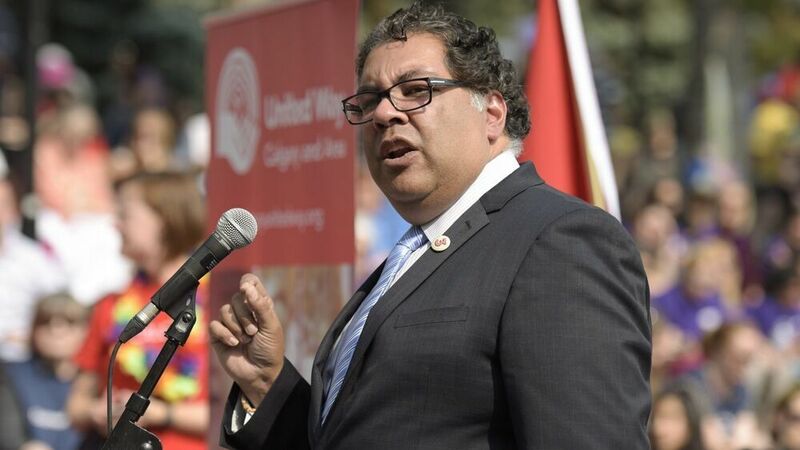 Calgary’s election campaign for public school trustees is getting unusually heated, with a contentious slate of candidates being challenged to reveal its financial and political backers before Election Day. Five candidates are running under the Students Count banner, which has a five-point platform: fix math, fund classrooms not admin, fix report cards, ensure student wellness, and keep big money (unions and corporations) out of elections. 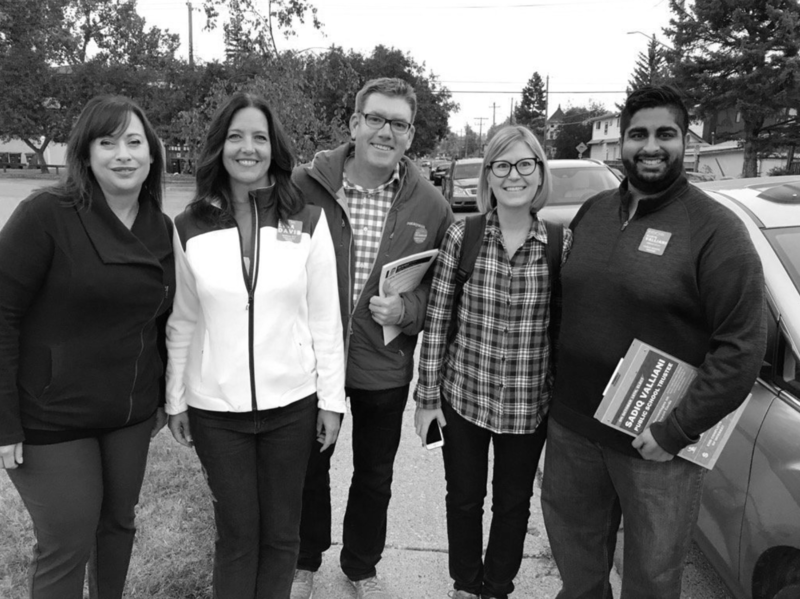 Unions and labour organizations have traditionally been the biggest contributors to trustee campaigns—particularly the Calgary & District Labour Council (CDLC). 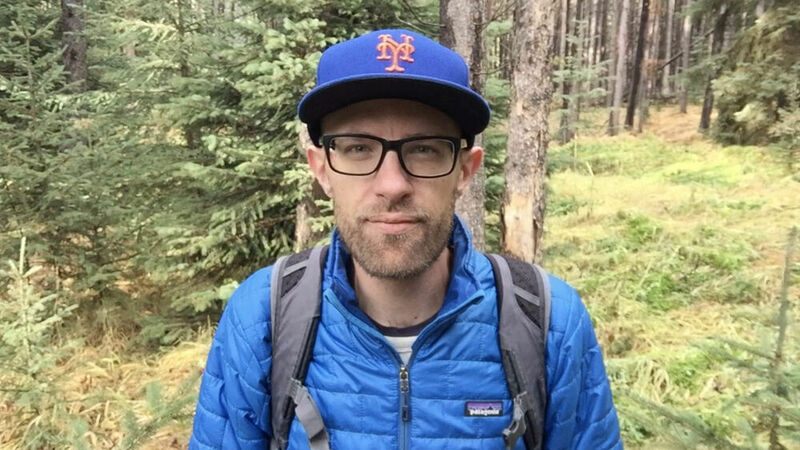 The CDLC gave more than $30,000 to trustee candidates in the 2013 election (cash and in-kind), and more than $11,500 to a single candidate, Julie Hrdlicka, in the 2015 byelection for Wards 11 & 13. But while Students Count’s campaign materials say “special interests have no role in education,” its candidates are keeping their own donors under wraps even as other trustee hopefuls reveal theirs. Althea Adams, who is running for the slate in Wards 3 & 4, said the Students Count candidates haven’t yet given much discussion to disclosing donors. “Because they are all individual donors, I don’t know if we’re going to or not,” she said. Questions have long swirled around the political ties of Students Count, which received the blessing of UCP leadership hopeful Jason Kenney early on. Kelley Charlebois, a longtime provincial PC and former executive director for the since-merged party, has helped organize the group and do its PR. Nimra Amjad, who is running against Adams in Wards 3 & 4, called Students Count a “political party” and said its refusal to disclose donors is revealing. “Why would they want to hide that information?” said Amjad, who has posted a donor list to her website, albeit with mostly first names, last initials and no dollar amounts. Laura Hack, also running in Wards 3 &4, posted her donations online as well. 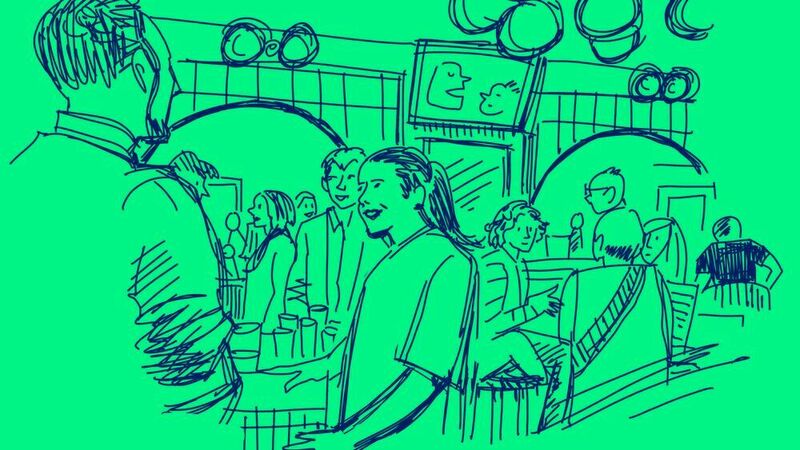 At a Ward 3 forum at Vivo on Sunday night, Hack challenged others to do the same. Hack is one of five public trustee candidates being endorsed by the CDLC, which is currently her largest donor, according to her website. 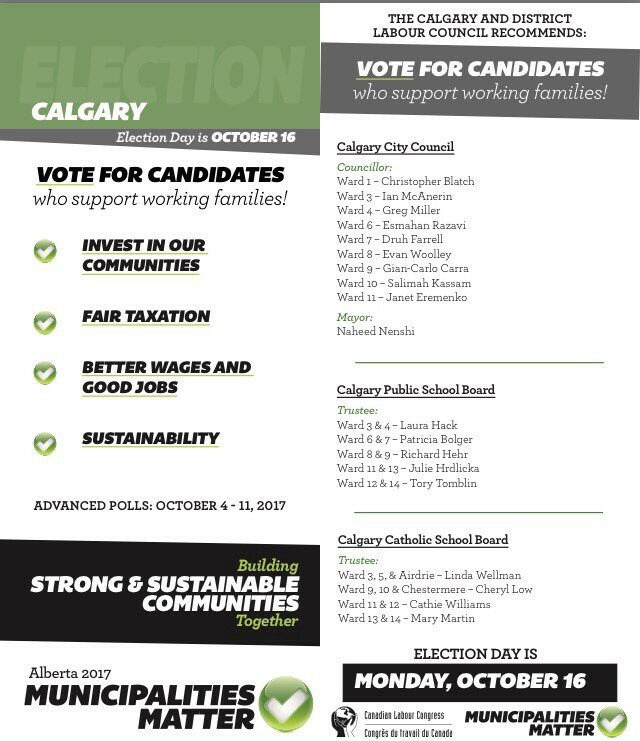 The Calgary & District Labour Council’s list of endorsed candidates. Adams said she decided to run because she’s a parent frustrated with the CBE’s direction, particularly regarding finances, with too much being spent at the board’s downtown HQ and not enough in classrooms. The CBE has budgeted 78% of expenditures for classroom resources in 2017/18, including teacher pension contributions and specialized support staff. The remaining 22% is budgeted for areas such as programming support, maintenance, transportation and admin. Trustees on the seven-member school board have traditionally voted independently of each other. Students Count candidates have said that if elected, they will vote together to enact change. Kim Tyers, who is running in Wards 3 & 4, said she’s concerned by the slate’s level of organization, and emphasized that independence is crucial for trustees.